Dropbox and Spotify going public is good news for the mobile marketplace so we decided to compare the two apps and their users in Skydeo. Skydeo surveyed over 250 million users from our panel of 875 million uniques. We also tracked new app downloads during October & November 2017 for both sets of apps. 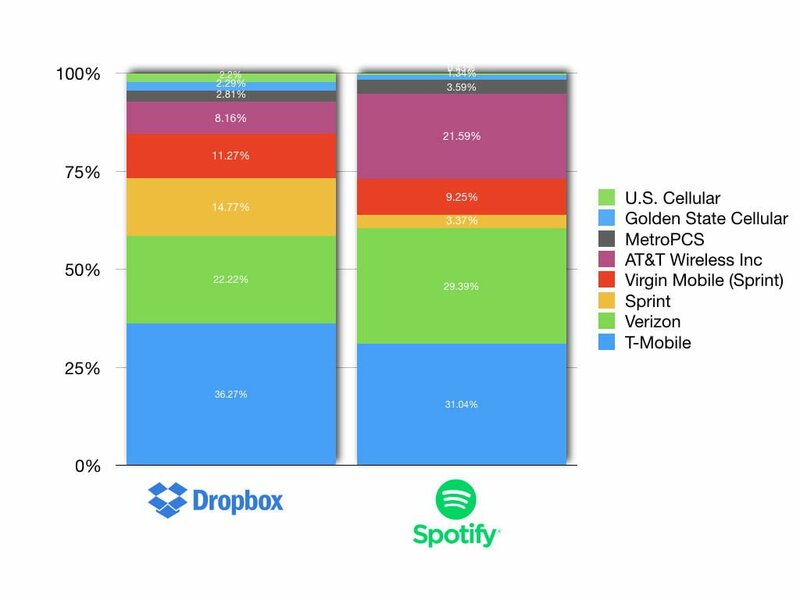 12% of Dropbox users had Spotify. 22% of Spotify users had Dropbox. Spotify users were 57% more likely to have Dropbox installed than non-Spotify users. Our future growth could be harmed if we fail to attract new users or convert registered users to paying users. We must continually add new users to grow our business beyond our current user base and to replace users who choose not to continue to use our platform. Historically, our revenue has been driven by our self­ serve model, and we generate more than 90% of our revenue from self­serve channels. Any decrease in user satisfaction with our products or support could harm our brand, word ­of ­mouth referrals, and ability to grow. Additionally, many of our users initially access our platform free of charge. We strive to demonstrate the value of our platform to our registered users, thereby encouraging them to convert to paying users through in­ product prompts and notifications, and time­ limited trials of paid subscription plans. As of December 31, 2017, we served over 500 million registered users but only 11 million paying users. The actual number of unique users is lower than we report as one person may register more than once for our platform. As a result, we have fewer unique registered users that we may be able to convert to paying users. A majority of our registered users may never convert to a paid subscription to our platform. In addition, our user growth rate may slow in the future as our market penetration rates increase and we turn our focus to converting registered users to paying users rather than growing the total number of registered users. If we are not able to continue to expand our user base or fail to convert our registered users to paying users, demand for our paid services and our revenue may grow more slowly than expected or decline. Based on Dropbox new app downloads during October & November, their ability to attract new users is strong. It will be interesting to see if the IPO hype increases new downloads over time. 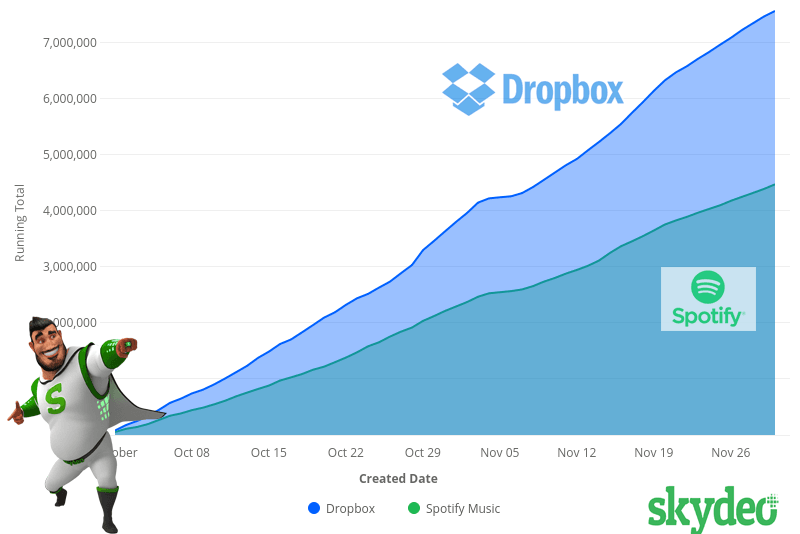 Dropbox has a magical business model and the data in the S-1 proves it. 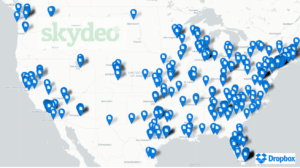 The company reports that “we generate over 90% of our revenue from self-serve channels”. Think about that for a minute. The free product is so attractive that it drives massive adoption and the conversion from free to paid is so obvious and smooth (more usage leads to more storage leads to paid product) that the company has a customer acquisition engine that derives from a simply great product and a compelling value proposition. Forget sales and marketing, at Dropbox, the product itself is a massively effective and efficient customer acquisition machine. Does it cost too much to service all these free customers? Happily, Dropbox is following a cost curve of declining storage and cloud costs. Gross margins have soared from 33% in 2015 to 54% in 2016 to 67% in 2017. If a CEO tells you she is going to increase gross margins from 33% to 67% in two years on a $1 billion revenue business, you would check her in to an insane asylum. Dropbox did it easily.